Bit late again, we know. But hey, look on the bright side: it’s out by the time you’re reading this, right? Yes, flawless logic wins the day. Prepping Nerd Nite takes a bit out of us, alright? Do it. We can tell. Alright, good job. That drumroll is apropos to the moment. It’s a big moment! We’ve created a Valley Creators hub! It’s a place you can check for a bunch of super-cool people who are going to appreciate your business. We tried to stick mainly to people with products available for sale, because we figure that will be the most helpful for people? It’s kind of just a way for us to keep track of all the wonderful stuff we’ve been lucky enough to discover, really! There are so many people around here doing so many wonderful things, and we really encourage you to check them out! What? Local Holiday Pickups in Easthampton, MA! From now until sometime Christmas, you can pick up your order at our Holiday Pop-Up Shop in Eastworks in Easthampton, MA! Just select “I Will Pick Up My Order in Easthampton” From the Checkout Shipping Selection Menu. Your order will be ready to pick up 24 hours after you place it. You can pick up Wednesday – Sunday from Noon to 6pm. But Where and When Do I Pick it Up?? At our Holiday Pop-Up Shop in Eastworks in Easthampton, MA! Between Noon and 6pm, Wednesday through Sunday! If you forget the address don’t worry, it will be in your confirmation e-mail, or tweet at us @topatoco! Finally, a direct reason why it pays to live near TopatoCo! Well, that and the fact that the Happy Valley is awesome! As always, be sure to check out the Weekly Events page! There are a lot of fun things happening this and every week! 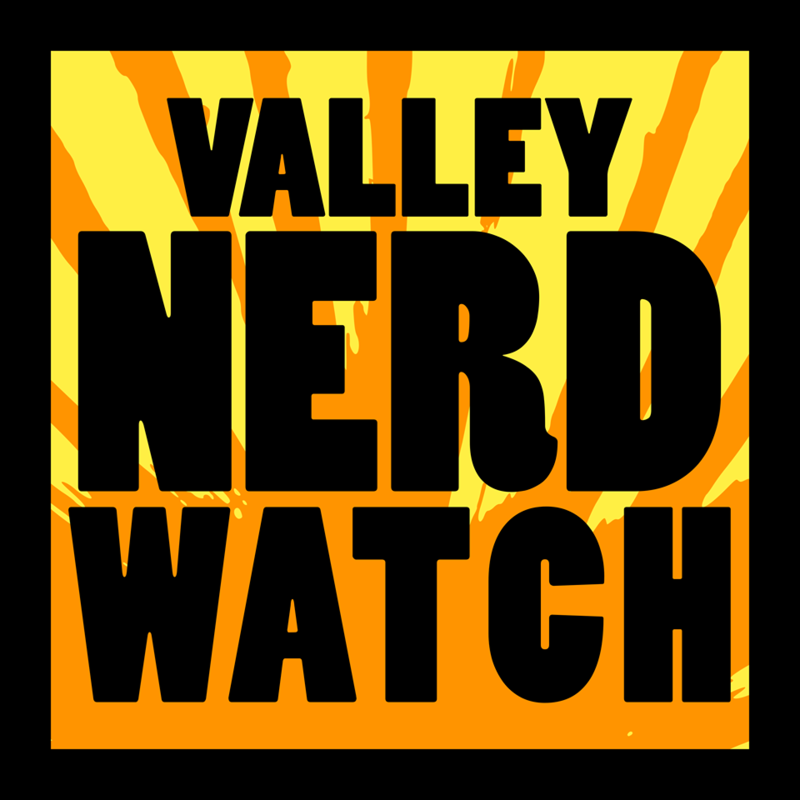 And don’t forget to check out the updated Book Clubs List and the Valley Creators hub! It’s the halfway mark! By now, you’re probably about 67% through the nineteenth novel of the series you write under your pseudonym “Crack Whiplash”. That’s the one about space cowboys. But if you need some help staying motivated, give a chance to this lovely group of people headed up by the Forbes Writer in Residence, Naila Moreira. Get to work! Adults who write for children are invited to attend a critique group at the GPL! It’s facilitated by Nell Wright, and participants can discuss skills, share tips and opportunities, and just read and discuss stories! Sounds like an awesome resource for local authors. We face a radically changing world that’s kind of horrific in a lot of ways, yeah? Well, what do we do about it? Wen Stephenson tells his story of radical environmentalism, and encourages the reader to reconsider the struggle. He explains how modern environmentalism is closer to a human-rights campaign than a traditional environmental protection campaign. Sounds interesting! Acclaimed author and Oscar-winning filmmaker Peter Davis presents a novel of sweeping scope covering hollywood in the 1930’s! A young screenwriter, the depression, communism, suicide, love, excitement, ambition! It’s got it all! Syria is facing enormous crisis at the moment. Neighboring countries have had a hard time accepting refugees. Acclaimed chefs and cookbook authors have come together to help food relief efforts. The profits from this excellent cookbook will be donated to help food relief efforts through the United Nation’s UNHCR. Help out, and try sample soups! The UMass Press is pleased to bring two great authors to the Jones Library! Christian G. Appy is a professor of history at UMass Amherst, and Clark Dougan was a senior editor at the UMass Press. Both have written numerous books on the Vietnam War, and here present Appy’s latest, “American Reckoning”. It’s PAST the halfway mark! By now, you’re probably about 97% through the nineteenth novel of the series you write under your pseudonym “Crack Whiplash”. That’s the one about space cowboys. Figure out that climactic space-cattle space-rustling sequence with this meetup! A monthly discussion group on the Third Monday of each month! This friendly group discusses topics such as LGBTQIA+ representation in comics and games! They’re a great source for fun conversation and good recommendations. Admission by $5 day pass, which you can immediately redeem as store credit! Drupal! A web dev thing. There’s a meeting of the Western Mass Drupal Users Group this week, and it’s going to be to hold a party for the release of a new iteration of Drupal! Exciting, if you’re into Drupal! A regular meeting place for coders, designers, and just in general awesome folks who do things that relate in some manner to the internet and code! Meet some new friends, trade secrets, dance the dance of the coders! Color-coded circuit boards snap together to produce sophisticated electronic things! Sounds pretty excellent. It’s for agest 8-11, teach kids to build electronic devices! But have a conversation about the reasons NOT to build death rays. Ukulele educator Julie Calamine will offer a beginner’s ukulele lesson and strum-along at Palmer! Fun times, intended for adult beginners and non-musicians. Hype yourself up for The Well-Tempered Ukes later in the week! Craft Night in Sunderland! Not much in the way of details but… hey, seems fun. Did you know the Fury Road cast had a knitting circle? Apparently Tom Hardy had a tough time of it, but Nicholas Hoult and Charlize Theron were a dab hand. A musical residency at Forbes! Delightful. Listen to the Well Tempered Ukes sing and play early music, as well as parlor and art songs! It’s free of charge to see, but donations for Northampton’s Interfaith Winter Shelter will be accepted. Stephen Hawking, best known for his role as “Professor Stephen Hawking” on Futurama, also had a surprisingly varied career in the sciences! This movie has definitely been regarded as a kind of lightweight biopic by people we trust for movie reviews BUT hey, it’s a famous scientist biopic and that might be up your alley. Role-Playing Games are a fun time for all. Whether you’re into D&D and you’re looking for a group, or you’re GMing a a game of FATE and you want some eager new players, come hang out! Admission by $5 day pass! Star Wars! We hear some of you are pretty into this obscure 70’s relic. Though long forgotten by all sensible people, a dedicated fanbase has somehow kept hope alive for the possibility of a dozen new films that all make billions of dollars. Play in that cool space-fantasy world with the RPG! Nerd Night NoHo: Bitcoins and Bird Bits! Science of two real disparate types! First we’ve got Gavin Andresen presenting “From Stone Money to Cypherpunks: What does the Island of Yap have to do with Bitcoin?” Bitcoin is familiar to us mostly as a way of starting arguments on the internet, so it’ll be interesting to learn more! Then we’ve got Patricia Brennan with “Why are there so many freaky genitalia, and why do we care?”. Which honestly kind of sells itself. Also, local notable and handsome genius James Olchowski will host, to the delight of all. Each week, a guest presenter will come to the LeVanway Room of the GPL to introduce you to a new science concept with a book and an activity. It sounds kind of great, though we’re not certain the expected grade level. Then again, it’s not like we super got a hang of osmosis the first go-round. Learn about Jonathan Edwards with Local History & Genealogy Librarian Elise Bernier-Feely! See source documents and learn about this 18th-century theologian! Nature printing! It’s pretty fun! Leonore Alaniz will discuss inking foliage and direct imprints it onto paper and cloth. It’s kind of cool to look at! It’s been used to track things throughout history, and also just for a fun time collecting cool pictures!